A review of Making Useful Knowledge: British Naturalists in Colonial India, 1784-1820 by Minakshi Menon. This dissertation takes for its remit the emergence of colonial botany in the context of late eighteenth- and early nineteenth-century British India alongside the introduction of the colonial survey as an accumulator and conduit of knowledge, and the explicit connection of the commercial interests of the British East India Company (henceforth EIC) with the making of natural knowledge on the ground. The project is mediated through a study of three British savants, the Welsh descended Sir William Jones (1746-1794) and two Scotsmen, Francis Buchanan (later Buchanan-Hamilton, 1762-1829) and William Roxburgh (1751-1815). In so doing, the author, Minakshi Menon, draws upon both South Asian history and the History of Science to produce a work that speaks eloquently to both at their confluence. As she writes, “I argue that colonial natural history and the East India Company state were co-constitutive. Natural history was an expression of the manner in which Company’s commercial interests shaped the organization of governance. It was a hybrid way of knowing that brought together different types of knowledge, European and indigenous, in the service of the Company state; and it was useful knowledge, directed to specific contexts of use without necessarily affecting natural knowledge making in Europe” (pp. xiii-iv). The work is divided into five chapters, the first and last forming the introduction and conclusion respectively, with three intervening body sections. In the introductory chapter (Colonialism, Imperialism and Natural History), the author draws attention to the three broad themes delineated above and introduces the dramatis personae Jones, Buchanan, and Roxburgh. Menon takes for her central argument the position that “colonial natural history was simultaneously a project to study India’s natural world, supply British markets with commodities and create institutions for colonial governance” (p. 1). Useful knowledge results through the placing of “the histories of histories of India and Britain within a unitary epistemological frame, in order to complicate received notions about metropolitan and colonial ‘difference’” (p. 1). Given that the lens she employs is that of natural history (and it must be mentioned here that her approach to the subject is preponderantly limited to plants), the stage is set for a sedulous treatment and analysis of classic works in both the history of the Indian subcontinent and the history of science (with extension to science studies and even more generally social theory), each taking the other into account, even as she produces an intriguing thesis that draws on these several rivers of inspiration. As such, she finds herself responding to an almost bewildering array of celebrated scholars including Kathleen Wilson, Homi Bhabha, Edward Said, Londa Schiebinger, Claudia Swan, Steven Shapin, Simon Schaffer, Frederick Cooper, David Armitage, Harold Cook, Pratik Chakrabarti, Sheila Jasanoff, Thomas Trautman, Jan Golinski, Steven Jay Gould, Ranajit Guha, Sumit Sarkar, Deepak Kumar, Gyan Prakash and Kapil Raj. While treating each of them with respect, balance and context, she focuses greatly on the emergence of the statistical survey in Scotland (by Sir John Sinclair) and its eventual purchase in India. The worlds of the savants she has picked are subject to a deep dedication for the forging of natural knowledge in harness to state-level concerns. It is the differing manner in which the three of them prosecute their work with inflected personal imperatives that furnish the kernels of the chapters that follow. Chapter 2, “Orientalism, Language and Botanical Knowledge-Making: William Jones in Bengal,” shows that Sir William Jones, the junior puisne judge of the Calcutta Supreme Court, was really about the instrumental business of making useful knowledge through his Orientalist project of rendering the cultural world of a region under thrall through intimate treatment of its own languages through Britons (or more generally, Europeans) who had mastered them. A significant result was the creation of the Asiatic Society in Calcutta, largely founded on the basis of the Royal Society in London, with the explicit purpose of inquiring into “the History, and Antiquities, the Arts, Sciences and Literature of Asia” (p. 52), a foundational moment for European Orientalism. Such a position was certainly advanced by the EIC’s first Governor-General in Bengal, Warren Hastings, who maintained that “(e)very accumulation of knowledge, and especially such as is obtained by social communication with people over whom we exercise a dominion founded on the right of conquest, is useful to the state” (p. 53). The sentiment extended for Jones to the taxonomizing of local plants, particularly in response to the Linnaean forms of taxonomy prevalent at the time, drawing for inspiration upon the French Encyclopédistes and Scottish societal theorists, in particular, Adam Ferguson. The author contends that Jones’ Orientalism had two aspects—instrumentalism, born of the conviction that native works comprised useful facts about nature, which could promote British commercial efforts in India, as well as a deep moral sympathy for native institutions. This effort was palpably clear in his naming of plants. For Jones, Indian plants studied by Europeans in the subcontinent “would have to be tracked through the linguistic practices of the natives” (p. 57). As such, a worker versed only in Linnaean techniques would find the effort wholly impossible unless there was active conversation with the practices and the indigenes that made and furthered them. Three further sections follow Jones’s evolution of thought on the matter, focusing on his encounter with early Orientalist writing, his work as a judge in Bengal (putting his ideas to the test in ways that are both illuminating and chastening), and finally his ideas on the manner in which botanical knowledge should be prosecuted in India. These ideas he outlined in three essays: The Design of a Treatise on the Plants of India; On the Spikenard of the Ancients; and Botanical Observations on Select Indian Plants. The chapter is deeply rooted in Jones’s correspondence with a number of British functionaries both at home and in India, where both the trappings of administrative power and the ethnological practices that emerge therefrom are investigated. Jones’s turn to Sanskrit to make sense of the modes of comportment of a recently subject people is enlightening, be it along terms of philosophy, history, or civil codes. Botany receives the same treatment—as the author states, “The natural character of the plants of India, the understanding of which was the most important goal for any European botanist working in India, was impossible to arrive at in the absence of a thorough knowledge of Sanskrit” (p. 77). The subsequent employment of the botanical essays mentioned above is exemplary; the first critiques Linnaean taxonomy and proposes an alternative approach, predicated upon the experimentally determined properties of the plants under study, the second draws into the relief the inadequacies of Linnaean nomenclature and the centrality of indigenous interlocution in the fashioning of botanical knowledge and the last extends the discourse of textual knowledge-making for natural history, i.e. the finding of a natural object, in this case, the Spikenard, through discovery of its presence in a plenitude of languages (pp. 80-81). The instrumental value of such work is always present alongside the scientific practice of experimental history. If for the latter, the work of Ursala Klein [“Experiments at the Intersection of Experimental History, Technological Inquiry, and Conceptually Driven Analysis: A Case Study from Early Nineteenth-Century France,” Perspectives in Science 13:1 (2005): 1-48; and “Technoscience avant la lettre,” Perspectives on Science 13:2 (2005): 226-266] is consulted, the manner in which Carolus Linnaeus conducted his work (for the former) as a methodological operation in cameralism is foregrounded by the author, through works by Lisbet Koerner [Linnaeus: Nature and Nation (Cambridge, MA and London, England: Harvard University Press, 1992)] and Staffan Müller-Wille [“Nature as a Marketplace: The Political Economy of Linnaean Botany,” in Oeconomies in the Age of Newton Annual Supplement to Volume 35, History of Political Economy,” edited by Margaret Schabas and Neil De Marchi, (Durham: Duke University Press, 2003), pp. 154-172; and “Walnuts at Hudson Bay, Coral Reefs in Gotland: The Colonialism of Linnaean Botany,” in Colonial Botany: Science, Commerce and Politics in the Early Modern World, edited by L. Schiebinger and C. Swan (Philadelphia: University of Pennsylvania Press, 2005), pp. 34-48]. Menon states that authors like Koerner and Müller-Wille show us that “the Linnaean system was neither self-evidently nor immediately hegemonic…but a situated response to a local problem” (p. 85). Linnaeus’s system may have worked for known species by facilitating movement between contexts through reliable reproduction in Swedish irrespective of context (p. 86), but came-a-cropper where unfamiliar plants were involved and such contexts could not be guaranteed. “They were neither ‘commodious’ nor ‘perspicuous’ outside Europe, since their purpose, as Jones ironically observed, was to cement the social relations of Linnaean botany. And they were particularly ineffective in the tropics” (p. 87). Jones took for inspiration a seventeenth century Dutch administrator, Hendrik Adriaan van Reede tot Drakenstein who, working with indigenous informants in what is now the northern part of the state of Kerala, put together a detailed herbal denominated Hortus Malabaricus. “If Jones accepted the Hortus as a model for his own work, it was because he recognized…that natural knowledge-making in Asia was a new kind of practice, a phenomenon in its own right, not a simple extension of European practices eastward” (p. 89). In this regard, Jones was emphasizing cultural aspects, which were proscribed by necessity in a Linnaean system (based on the simplicity of the comparison of sexual systems) that sought to stabilize the identity of species for botanists anywhere, irrespective of local context. Other colonial residents like the botanist William Roxburgh who had early befriended Jones, were in wholehearted endorsement of the latter’s methods, both seeing the commercial advantages of such research, and that the chemical properties of the plants studied, which were also promoted, only served to locate the importance of the species in situ. There was an additional angle. Jones’s total approach was rooted in his social context, where increasing miscegenation left an uncomfortable taste regarding the Linnaean system. Ultimately the plants under study “were mutable hybrid objects that embedded local knowledge and gave evidence of colonial social relations and indigenous agency in their very constitution (the Spikenard)….They were evidence…of the hard work that had to be done before their European avatars could bloom in metropolitan botanic gardens, work that compassed the construction of colonial social relations while stabilizing colonial nature” (p. 115). The third chapter, “A ‘Real Survey’: Francis Buchanan and A Journey from Madras through the countries of Mysore, Canara and Malabar,” focuses largely on the career in India of the Scottish stadialist (stadialism being “the notion of stages in the development and progress of societies,” p. 143), Francis Buchanan and his employment of the statistical survey pioneered in his native country by Sir John Sinclair (1754-1835) to produce the regions under examination from a variety of angles ranging from agriculture to the condition of the inhabitants. A protégé of the Governor-General Lord Richard Wellesley (1760-1842), who inhabits the beginning of the chapter, he was put in charge of the short lived Indian Natural History Project to study the animals of India (essentially the higher vertebrates— birds and mammals) at the gubernatorial menagerie at Barrackpore (interestingly, this is one of the very few points in this dissertation where natural history is also seen to include animals; otherwise it is largely treated as synonymous with the study of plants—see above), which suffered for want of endorsement by Wellesley’s principals at the EIC, already less than delighted by the College of Fort William set up under the aegis of his office in Calcutta. Buchanan had earlier undertaken a survey of Mysore after the defeat of Tipu Sultan (1750-1799) at Seringapatam; it was undertaken at the behest of Wellesley, probably to offset the unpopularity of the war against Mysore by enhancing the positive nature of Wellesley’s expansionist tendencies (p. 126). The author states that the chapter’s intention is to examine “the pushes and pulls on natural knowledge-making and state-making in colonial India” (p. 124) and in this regard, a minute from Wellesley to Buchanan exhorted him to ascertain points regarding “Esculent Vegetables, Cattle, Farms, Cotton, Pepper, Sandal-wood, and Cardamoms, Mines, Quarries, Mineral and Mineral Springs, Manufactures and Manufacturers, Climate and Seasons of Mysore and Inhabitants largely directed towards obtaining a measure for assessment and collection of revenue” (p. 127). 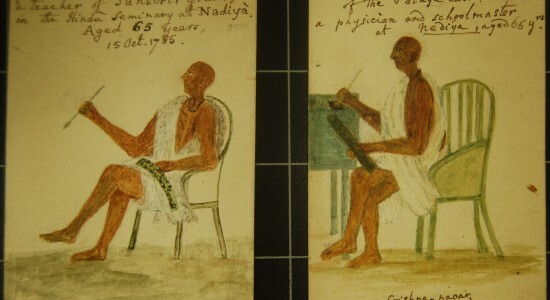 The eventual document was published in 1807, marking, as the author asserts, “an important moment in the history of British rule in India: the emergence of the survey as an instrument of colonization” (pp. 128-129). Menon draws on Bernard Cohn’s idea of “investigative modality” which collapsed “all the practices of Company administrators and bureaucrats intent on understanding and mobilizing indigenous knowledge in the service of the state” (p. 130), and in so doing argues that Buchanan’s manuscript was epistemic in its gathering cognitively of this recently colonized region wherein scientific knowledge both travelled and was transacted. In the process, what was being gleaned from native informants was being sedulously transcribed on paper to “create a third language, which could give the colonial state power over indigenous knowledge” (p. 131). That Buchanan took to the task with vigor was no surprise—after all, he emerged from Scottish ranks that peopled considerably the medical and administrative staff of the EIC and who were rooted in the survey-based language of their nation of origin that ultimately sought improvement in the circumstances of the population under study, in this case, in parts of India. To make this case, the chapter abruptly moves from Delhi (the site of the holdings of Wellesley’s Minute for the Indian Natural History Project) to Edinburgh, where the discussion of several thinkers from the perspective of “improvement” and drawing on pedagogy from the university of that city, becomes the focus of the section in which Buchanan himself largely disappears for several pages, reminding me of a similar absence for pages on end of the eponymous monarch in Fernand Braudel’s great work The Mediterranean and the Mediterranean World in the Age of Philip II (Berkeley: University of California Press, Reprint edition, 1996). What is foregrounded, however, is the manner in which knowledge is made on the ground, be it at the Edinburgh University’s School of Medicine, or Sir John Sinclair’s Statistical Account, or the agricultural surveys of a polymath and farmer, Andrew Wight (p. 145). With respect to agriculture, the author turns to the notion of the taming of nature, looking for instance to Roy Porter [Enlightenment: Britain and the Creation of the Modern World (England: Penguin Books, 2000)] and the “reconstituted idea of nature, one that required a body of experts to understand and explain its rational principles…” (p. 147), which, in linking the lecture theater to the agricultural holding, invokes Steven Shapin [“The Audience for Science in Eighteenth Century Edinburgh” History of Science 12 (1974): 95-121]. Considerable attention is paid to one of Buchanan’s teachers, John Walker, and his lectures on natural history (including the rather arresting proclamation, “a complete system of natural history does not exist anywhere” and apparently “it cannot be collected from books,” p. 161), and names the subsumed areas that comprise the subject, six in number: meteorology; hydragraphy (sic in Walker’s original description); geology; mineralogy; botany; and zoology (p. 161). Chemistry gets foregrounded via a discussion of William Cullen, Walker’s teacher, and altogether, there seems to be vast commitment to Baconian principles of induction aiming towards a “reformed natural history” based upon “an empiricism of particulars” (p. 163). The section concludes with an explanation of Walker’s use of geology (in a manner similar to the author’s discussion of political arithmetic in Chapter 1) before moving back to India in a succeeding section to highlight the methods used and conclusions drawn by Walker’s acolyte, the re-introduced Buchanan, through his work on the survey of Mysore, Canara, and Malabar. Key to the author’s argument is the fact that while pride of place is often given to Colin Mackenzie (1754-1821), the first Surveyor-General of India, the fact remains that Mackenzie was often a reluctant pioneer, and Wellesley’s demand of Buchanan to conduct a second survey was eminently justified. Buchanan, while undertaking the survey, had asked, as the author points out, different questions from those we might pose today, including one curious entry where he sought of “a native if he knew the exact location of heaven” (p. 187). A present-day understanding of statistics was not the directive of Buchanan’s queries; statistical surveys looked in the late eighteenth and early nineteenth centuries ultimately to the overall happiness of the populace under study. A major consideration was caste, and in this regard, the author methodically places Buchanan’s efforts in the larger context of recent seminal works by Susan Bayly [Caste, Society and Politics in India: from the Eighteenth Century to the Modern Age (Cambridge University Press, 1999)] and Nicholas Dirks [Castes of Mind: Colonialism and the Making of Modern India (Princeton and Oxford: Princeton University Press, 2001)], a discussion that gets a great deal of attention (see pp. 204-212, for instance). Caste was clearly an important element, not least on account of its fluidity in practice at the time where Buchanan was noting “territorial variations in the domestic practices of groups later treated as homogenous…” (p. 195). Buchanan drew both on Wellesley for the “scaffolding” of his document and on Walker for its “narrative structure,” coupled with the latter’s injunction to his students to keep “a daily journal of natural history” (p. 196). Agriculture was the first object of inquiry with intimate descriptions of rocks and soils before the role of informants (in their relative positions in society) was considered. One interesting aspect that Menon underscores is the guardedness with which Buchanan treats information obtained from natives (quite at odds with Sir William Jones, for example), as he claimed that Brahmin interlocutors could often be liars and cheats (p. 205); this position was possibly influenced by the Scottish philosopher, David Hume (p. 213). The curiosity of the eventual document produced by Buchanan, often ham-handedly rendered in the writing, was yet no impediment to the directors of the EIC to publish his work (p. 220), possibly driven by their need to show positive developments in India in order to increase investments from Britain in Company shares (p. 221). The concluding section of the chapter points to the fact that the “language of A Journey” (i.e. Buchanan’s survey) “was as much a product of the Scottish Enlightenment as conjectural history or the emergence of crofting [i.e. working small land-holdings called crofts] in the Highlands” (p. 223). Eventually Buchanan’s “language would be appropriated and strengthened by English Utilitarians, who would make it the dominant idiom of colonization in nineteenth-century India” (p. 223). The title of Chapter 4, “Making Knowledge, Making Patrons, Making the State: William Roxburgh in Madras,” is more modest than its emprise turns out to be, inasmuch as the chapter also considers the career of Francis Buchanan (encountered in the previous chapter) against that of William Roxburgh, who would become the Superintendent of the Botanic Garden in Calcutta. While each studied at Edinburgh University and took the same classes, evinced passion for both botany and more discursively natural history, and went to India intending to return with large fortunes, only Roxburgh succeeded in the last. The disparity between the fortunes of the two men is treated as exemplary for the process of state-making through the medium of the making of natural knowledge in the early modern British Empire (p. 224), with the author stating that her work in this chapter is placed at the intersection of three axes of analysis—the empire-state, the familial state, and “the concept of ‘logistics’ or control of the natural world as a way to build state power” (p. 225). She points to the dual nature of the EIC as a commercial entity and a state, drawing upon Philip Stern’s recent treatise on the subject, [The Company-State: Corporate Sovereignty & the Early Modern Foundations of the British Empire in India (New York: Oxford University Press, 2011)]. In such a system, Company functionaries also indulged in private trade (p. 225), not least its medical practitioners, experts as they were in “marshalling the facts about nature that underpinned a variety of trading operations” (p. 226). Given that the Company was insinuating itself into an already complicated political structure where the Mughals had held sway since the early sixteenth century, even if largely emasculated through conflict with rebelling fiefs and other native potentates, the Company had to make its authority felt, be it in a relatively seamless manner, as suggested by Christopher A. Bayly [Rulers, Townsmen and Bazaars: North Indian Society in the Age of British Expansion, 1770-1870 (Cambridge and London: Cambridge University Press, 1983); and The Birth of the Modern World 1780-1914: Global Connections and Comparisons (Oxford: Blackwell, 2004)] or with active administrative intervention, the position taken by Sudipta Sen [Empire of Free Trade: The East India Company and the Making of the Colonial Marketplace (Philadelphia: University of Pennsylvania Press, 1998)], “significantly rearrang(ing) the institutions it encountered, both agrarian and commercial, producing a new colonial terrain that was maintained through force of arms” (p. 227). As Menon states, “[t]he Company’s men on the spot who learnt to navigate the tensions between local revenue officials, landlords and peasants, chiefs and retainers, weavers and merchants, would operate successfully in the interstices” (p. 228). She turns to Frederic Cooper’s notion of the empire-state, “a polity without a clear national core or contiguous territorial existence, which functioned both as a zone of exploitation and a space for moral debate about issues raised by colonization,” (see Frederic Cooper, Colonialism in Question: Theory, Knowledge, History (Berkeley: University of California Press, 2005)), a situation that indeed obtained for the “subordinate periphery” that India was through the social and economic reforms that the Company essayed to introduced into the country (p. 229). William Roxburgh managed to fulfill this role in helping to establish the Calcutta Botanic Gardens instituted by his predecessor Robert Kyd (1746-1793) and in so doing served “to consolidate imperial terrain without a clearly-defined centre” (p. 230). Roxburgh also understood his position as a functionary of the EIC along familial lines, in the sense of Julia Adams’s The Familial State: Ruling Families and Merchant Capitalism in Early Modern Europe (Ithaca and London: Cornell University Press, 2005), both through promotion of his own lineage (he attempted to secure a sinecure for his son at the Calcutta Botanic Garden) and in terms of stewardship as Company Naturalist (p. 231). Patronage for Roxburgh was to be found in London through the powerful figure of Sir Joseph Banks (1743-1920), explorer, member of the Privy Council, President of the Royal Society, and moving spirit behind the elevation of Kew Gardens to its pivotal position in the world of colonial and global botany; and more locally in Madras, Andrew Ross (dates not given in the thesis, but Mayor of Madras, 1757-1758), a man of considerable means and influence and a “portfolio capitalist” (see Sanjay Subrahmanyam and C. A. Bayly, “Portfolio capitalists and the political economy of early modern India”, Indian Economic and Social History Review 25:4 (1988): 401-424), who married commerce and political power (p. 247). Both men functioned as “centres of calculation” in their own rights, the nodal points of command in an informal network of far-flung individuals, which could make or break careers. For their part, natural historians possessed the expertise to detect goods involved in country trade and to judge their quality, where they could be found and how they might be transported—in brief, “the ability to mobilize the natural world for political effect” (pp. 240-241) as Chandra Mukerji would claim through the term she would deploy for the purpose, “logistical power” [“The Territorial State as a Figured World of Power: Strategies, Logistics and Impersonal Rule,” Sociological Theory 28: 4 (December 2010): 402-424; and Impossible Engineering: Technology and Territoriality on the Canal du Midi (Princeton: Princeton University Press, 2009)]. In this situation, where professional and personal gain often bled into each other, “[p]rivate trade made the institutions of the colonial state cohere (p. 241). Roxburgh, a Scottish Lowlander, succeeded in obtaining patronage; the Highland-connected Buchanan, however, failed signally in this regard, save in his relationship with the controversial Governor-General, Lord Richard Wellesley (p. 250). While Ross furthered his fellow Scot William Roxburgh’s appointment as Professor of Botany and Natural History to the EIC, Scottish private interests also got a fillip from an English source in Sir Joseph Banks, committed as he was to the notion of improvement (pp. 256-257). A plethora of examples, particularly with regard to Ross and Roxburgh’s mutual benefitting, comprises several pages, to the extent that even when Roxburgh was moved from the Northern Circars (where he was accumulating something of a fortune) to assume the position of Superintendent of the Botanic Gardens, an effort was made by Ross to delay the departure and to try to ensure that Roxburgh remained only temporarily in Bengal (the latter situation, however, not coming to pass). Menon points out that Buchanan, unlike Roxburgh, was not “biddable” (p. 285) and apart from Lord Wellesley, did not seek to work power in the interstices. A key point of fracas occurred when Roxburgh, seeking to retire from the Calcutta Botanic Garden, attempted to secure his position of Superintendent for his son, something that Buchanan was eyeing. Patronage was sought on both sides and ultimately Roxburgh senior stayed. A key consideration was the difference portrayed between being a botanist versus a naturalist—according to John Walker, Buchanan’s teacher, a botanist methodized and distinguished plants, discovering new ones with a view to their future usefulness, while a naturalist was acquainted with the properties of identified plants and worked to discover qualities in those that were already known (p. 242). In the contest, Buchanan had tried to push his case in terms of being a botanist, expressing indignation that the subject was being given short shrift. For a while, it looked as though Buchanan would obtain the post, but as Roxburgh refused to relinquish it, the situation lingered. Interestingly, Roxburgh tried to convince Buchanan of the benefits of private trade, but Buchanan simply failed to do so. Ironically, the one place where he did attempt to retain some level of personal control was in seeking to take back with him to Britain his natural history drawings (some 500 in number). In this he was thwarted by the Governor-General Frances Edward Rawdon-Hastings (1754-1826), then Earl of Moira, who maintained that they were rightly the property of the EIC. He promptly confiscated them (pp. 289-291), leaving the homeward-bound Buchanan an embittered man. Ultimately, the “shared rule” that allowed private merchants to wield power in state-building (p. 292) resulted in differing results for those naturalists who were able to exploit that situation to their own ends by engaging in similar practices under patronage to the self-same merchants, such as Roxburgh, as opposed to men like Buchanan, who never quite learnt how to play the commercial game. The bookending-chapter. “Conclusion: Making Useful Knowledge,” places the three savants profiled in the dissertation, Jones, Buchanan, and Roxburgh, into relief, even as it sums up the major claims made across the work. A key similarity among all three functionaries is that they considered themselves useful men (p. 296). Jones evinced a “sentimental empiricism” in his attitudes to Orientalism that extended to his botanical knowledge-making. Buchanan, a Scottish stadialist and inspirer of English Utilitarians, did not, unlike Jones, hold to a great Indian past (even if at the time deemed degenerated from such illustrious priors). Yet, through his surveys he was still committed to maintaining India on the civilizational ladder not least by learning her languages, studying her customs, and understanding her resources across the board in order to produce a “total” history of the country so as to afford comparisons (pp. 298-299), where natural knowledge was gained toward furthering affairs of state. Roxburgh, blurring lines between the commercial interest of the EIC and private trades, “viewed useful natural knowledge through the prism of accumulation and exchange.” Central to his work was the notion that in the re-rendering of native knowledge (for instance a pharmacopoeia), indigenous knowledge was necessary to validate identification, thus framing colonial natural history as a science of two cultures (p. 302). The dissertation is concluded with a reiteration of its two major claims: “that colonial natural history and the East India Company state were co-constitutive; and that colonial natural history was a hybrid way of knowing that brought together different types of knowledge, European and indigenous, in the service of the colonial state” (p. 302). This dissertation is a tour de force of analysis of the early modern British state in India, speaking at once to South Asian history, British colonial and imperial history, and the history of science, and drawing liberally for context from each. The arguments it makes are couched in strong theoretical frameworks from every discipline mentioned and the bibliographic depth of the work is formidable. It will be indispensable for any serious student of British empire in juxtaposition with natural history, and given its unusual breadth, should be of equal interest to those scholars working in histories of the Indian subcontinent along political, economic, and scientific lines. University of California, San Diego. 2013. 337pp. Primary Advisor: Naomi Oreskes.